Alfredo Gulla kept the faith, welcomes Alfa Romeo brand back to the U.S.
Norwalk, Conn. – Alfredo Gulla, founder and owner of Alfredo’s Foreign Cars, dba Alfa Romeo Fiat of Larchmont and Larchmont Chrysler Jeep Dodge, has been named Grand Marshal for the second annual New England Auto Museum Father’s Day Car Show at Mathews Park in Norwalk. The event is scheduled for Sunday, June 19th from 10AM to 3PM and proceeds will support the nonprofit New England Auto Museum building and education funds. 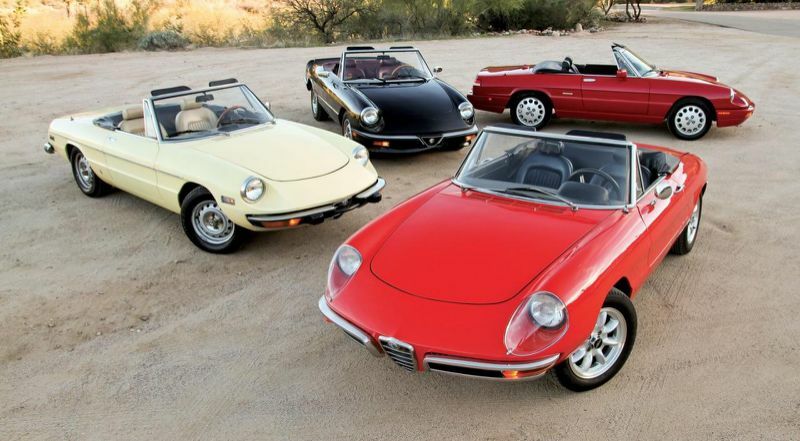 This year the Father’s Day Show will celebrate Alfa Romeo as one of its featured marques, and Alfredo Gulla will be honored as one of the original U.S. dealers for the brand in the early 1960’s as well as for his success in regaining the franchise for its North American relaunch by Fiat Chrysler Automobiles. 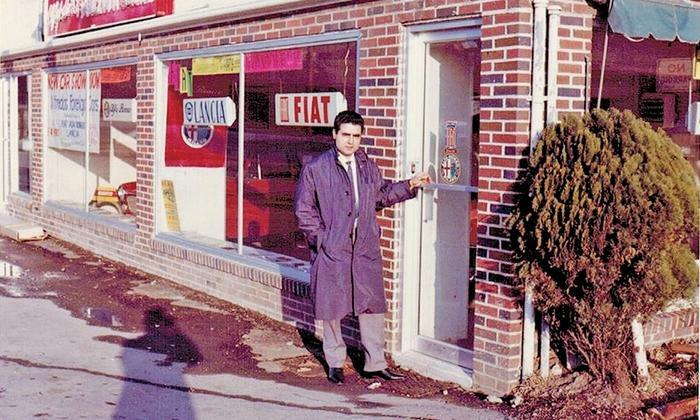 From his dealership near the Connecticut/New York state border, Alfredo Gulla waited nearly 20 years for his beloved Alfa Romeo to return to the U.S. market. Gulla began selling the Alfa Romeo 4C two seat sports cars last year, and in 2016 will begin receiving the new Alfa Guilia sedans, recently displayed at the New York International Auto Show. As a young man, Gulla immigrated to New York in late 1956 from Catanzaro, Italy — a city of about 100,000 people on the instep of the Italian boot. He found work in a small import car dealership in Larchmont, and five years later, when that dealership was for sale, he bought it. At first, sales at what would become Alfredo’s Foreign Cars were confined to parts and service. But within months, Gulla had secured an agreement with Fiat to sell new cars. 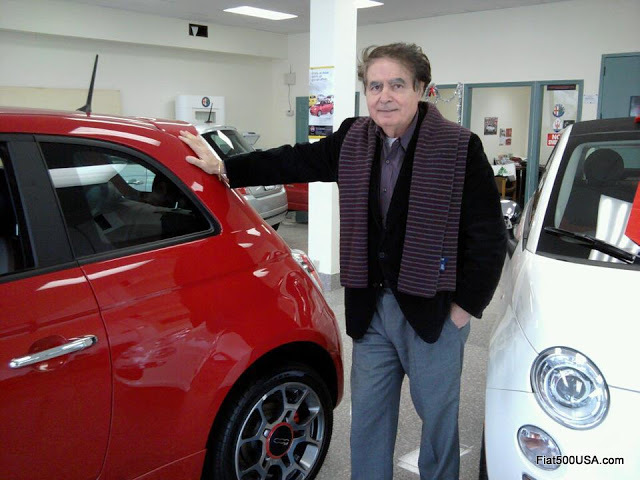 Gulla bought his first two — a Fiat 500 and an Alfa Romeo Giulietta — and began decades of selling Italian cars to people in the metropolitan New York area. His customers included fellow Italian immigrants and their progeny, who sought a small piece of their native land. It included the famous — he sold convertibles to Groucho Marx and Henry Kissinger, for example — and the not-so-famous. They were good years, for the most part. Always, Gulla says, whether it was a Fiat or an Alfa Romeo, he sold the brand, the history, the Italian heritage. “I hope, the fact that I’m Italian blends a little bit with the cars we are selling,” Gulla explains. But Fiat and Alfa Romeo’s troubles grew in the United States as their sales fell in the late 1980s and early 1990s. By 1995, Alfa would pull out of the United States and retreat to Europe, despite the pleas of Gulla and other dealers. Only when Fiat S.p.A. assumed control of a bankrupt Chrysler in 2009 was Gulla truly optimistic. His was among the first Fiat franchises to be awarded in 2010 when Chrysler began to sell the Fiat 500 in North America. 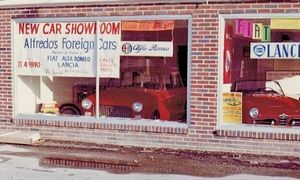 Finally last year, Gulla’s Fiat of Larchmont was on the initial list to receive an Alfa Romeo franchise.